Any meat that we purchase, we like to buy from local farms. To people that always shop in the super market, it might seem odd to purchase your meat straight from the source. But we prefer grass fed beef for nutritional reasons and for the simple fact that it tastes much, much better! 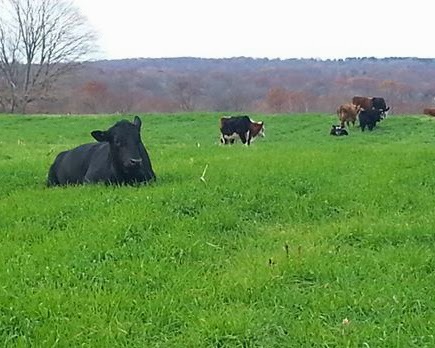 We love the idea of pasture raised meat, since that is the philosophy we believe in. We like to know that the animal got to experience sunshine, grazing, and the behaviors that come naturally to them. Our grocery store does not offer any pasture raised meat, so the decision to go elsewhere is pretty easy! Although raising our own beef is something we'd love to do, our current set up just doesn't allow for it right now, and won't for some time. 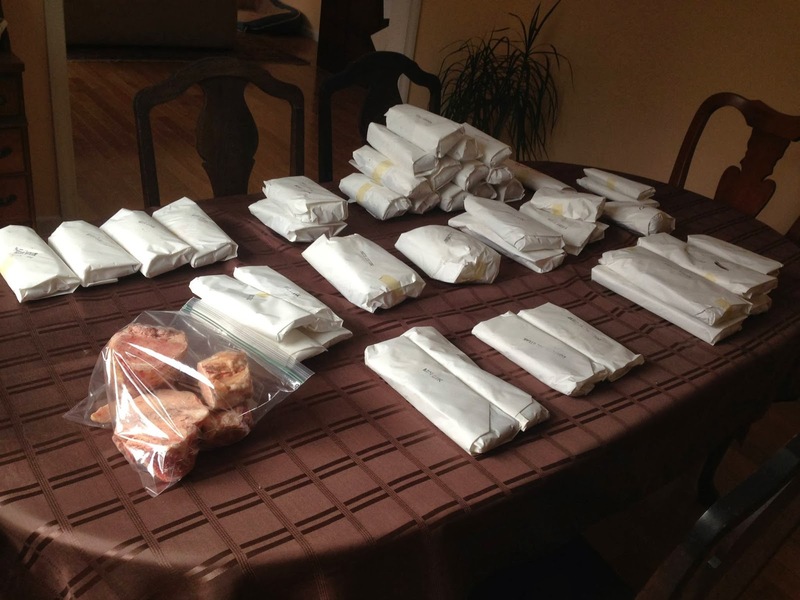 We have decided to switch over to buying our meat in bulk, since it's much cheaper per pound. It's also more convenient for us to pick it up once, put it in the freezer and have it on hand. We used to drive to a local place and buy packages every couple weeks. This was not super convenient for us, since I feel like we are always so busy! Plus, the price per pound was a whole dollar more for ground beef, and much higher for steak or other cuts of beef. So we're actually saving a lot by buying it in a larger quantity! This time we purchased only 1/6 of a cow, which isn't a huge amount. We chose this size just because of our current freezer situation. We need a freezer upgrade to a larger size since we store lots of frozen veggies and fish that we catch. So in the future we will get a 1/4 or a 1/2. We found Stone Garden Farms which is nearby. Definitely check them out if you are in Connecticut!